Welcome to NBC Filters. We have been filters suppliers since 1954. 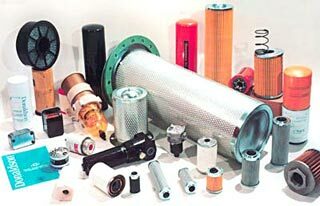 We can offer a full line of replacements: industrial, hydraulic, air, oil and fuel filter elements for vehicles and construction machines, ships, trains and every kind of filtration systems. Our principal brands are: Donaldson, Racor fuel filter water separators, Wix, FBO, Separ, Farr, UFI, Mann, Baldwin, Tecnocar, Fiaam, Fram, Purolator, Camfil, Altair, Fairey Arlon, Fleetguard, Duramax, Argo, Hydac, Filtrec, Fai Filtri, MP filters, UCC, Parker, Pall, Stras, TG filters, Facet, Depurex. Air filtration systems and filtration systems for industrial dust collection (dust control). 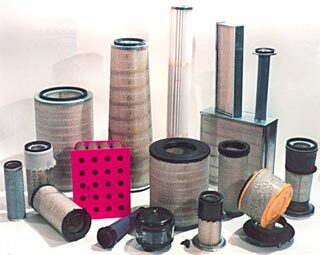 We also provide absolute filters, complete filters, filtering sleeves, bag filters, coalescing filters, industrial filter, filtration systems for gas turbines, Donaldson Torit systems, Ultrafilter, Ascon Engineering. Our news: Donaldson Top Spin, Donaldson PowerCore Filtration Technology, Donaldson Spiracle and Diesel Fuel Manager. For further information write to us!